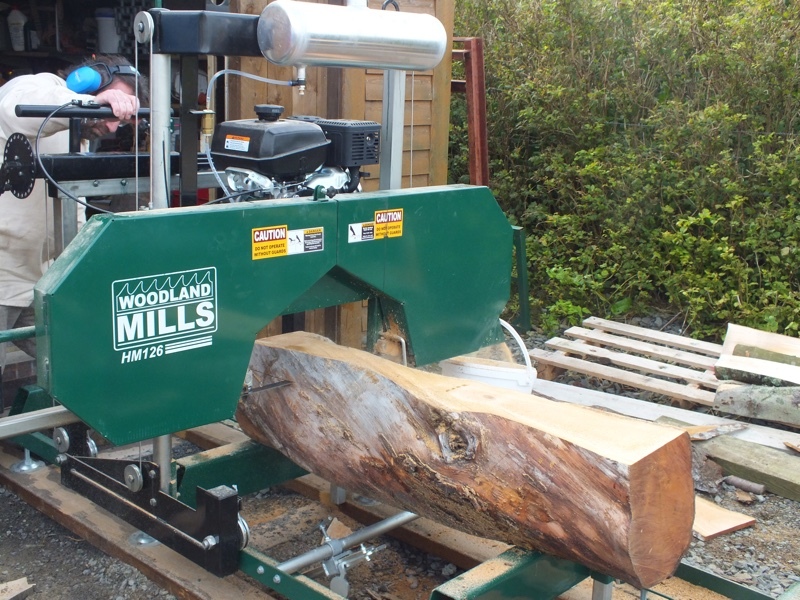 We have our own small sawmill on site which we use to plank logs to begin the process of producing blanks to go on the lathe. It is better to keep the logs in as big a piece as possible, so we buy the timber as whole tree trunks and then process it further as Michael needs the blanks to go on the lathe. 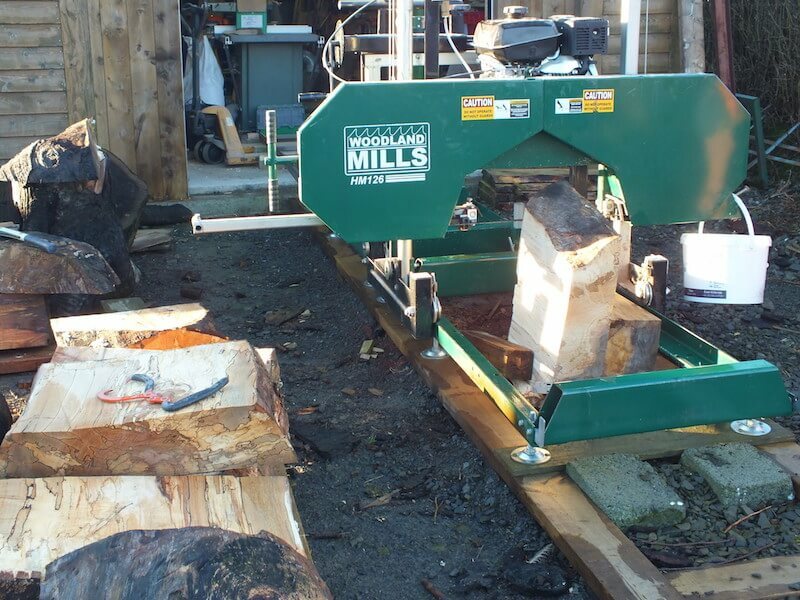 Having our own sawmill was a sensible option, great fun too. 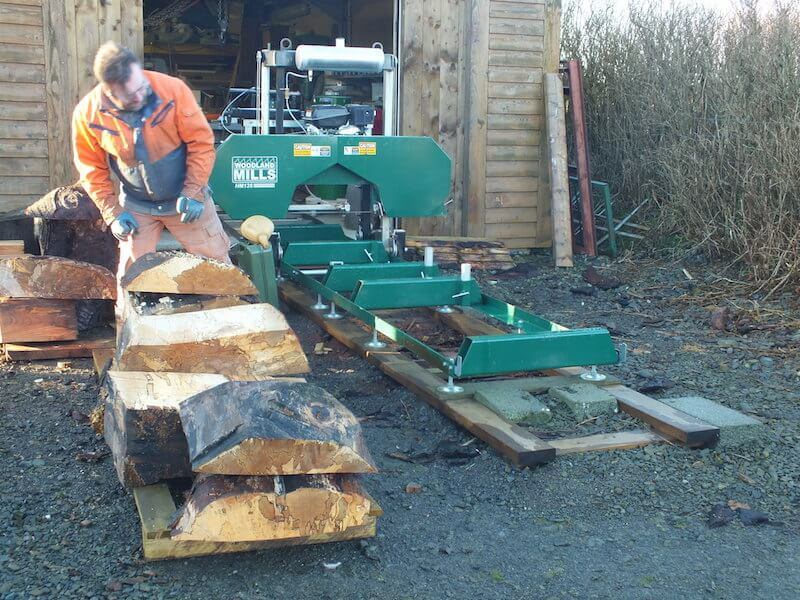 This also allows Michael to cut the logs up to make the most of features in the wood such as burrs, spalting, hollows etc. The main part of the sawmill is housed just inside the shed on a bogie. When we need it the saw can be rolled out onto the tracks which are fixed firmly in the yard. Due to the weather up here this will give the sawmill a much longer lifespan.